Lovely photo with the way the snow glistens in the trees. Thanks too for visiting my blog. Love this photo. The color is gorgeous and the snow looks like orbs. 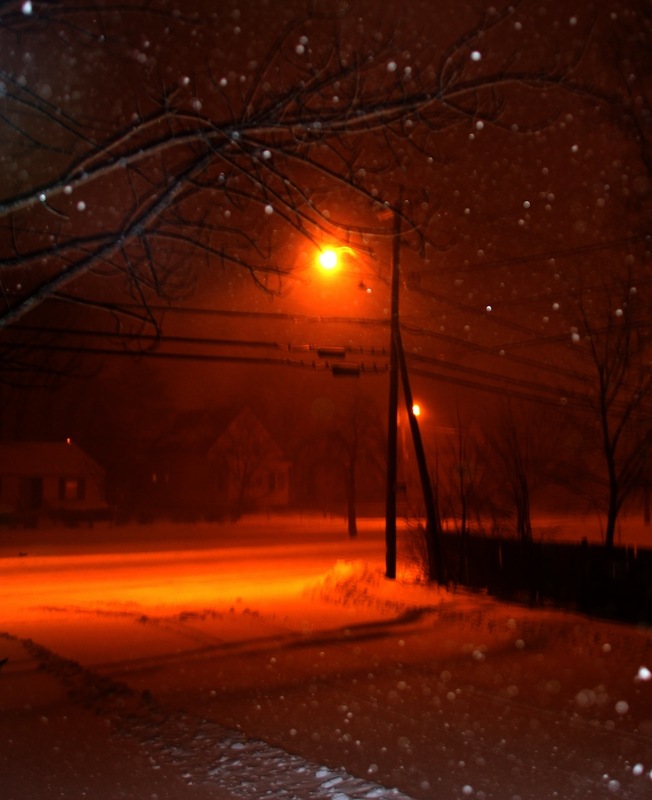 Love the streetlight hue against the snow.